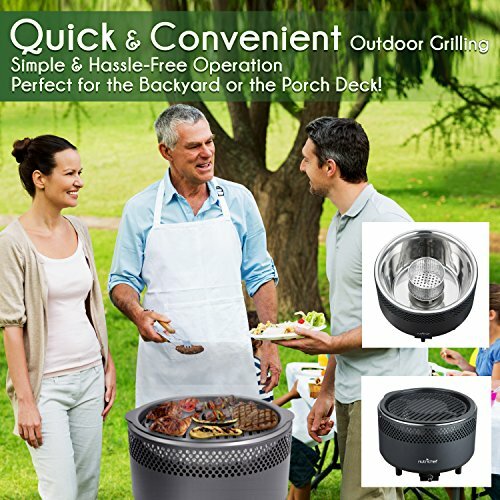 Perfect for the Backyard or the Porch Deck! 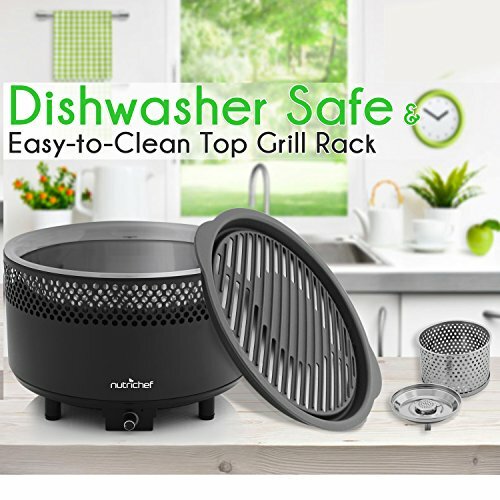 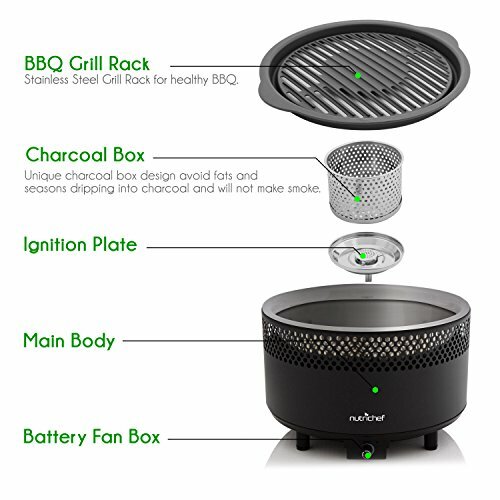 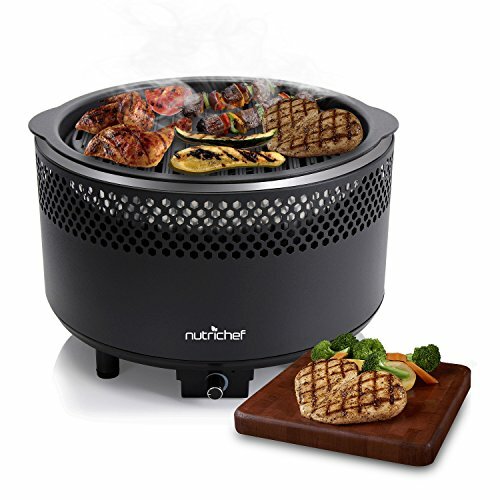 The NutriChef Compact Charcoal BBQ Grill - Portable Outdoor Barbecue Grilling - Compact Charcoal BBQ Grill - Quick & Convenient Outdoor Grilling - Simple & Hassle-Free Operation - Battery-Powered Fan with Adjustable Speed Setting - Smart Engineered Grill Housing Design for Tasty Barbecue Results - Integrated Re-Fillable Charcoal Basket - High-Temperature Rustproof Construction - Dishwasher Safe & Easy-to-Clean Top Grill Rack - Perfect for the Backyard or the Porch Deck! 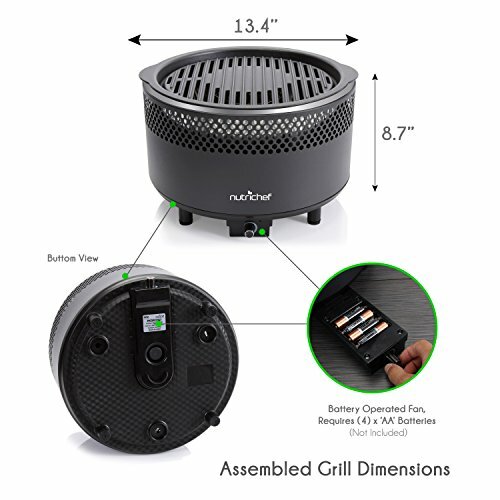 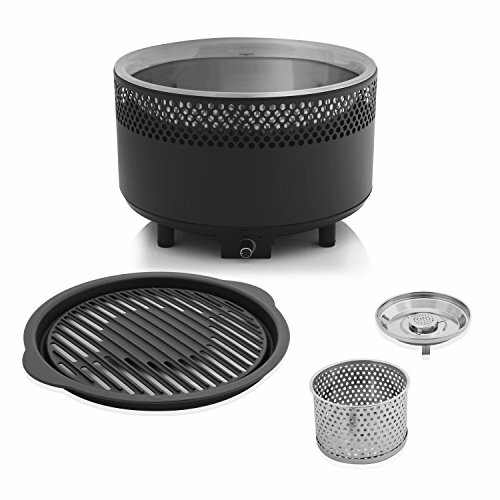 - What’s in the Box: - BBQ Grill Body - Grill Rack - Charcoal Bucket - Ignition Tray - Battery Fan Box - Technical Specs: - Grill Rack Diameter: 12.6’’ -inches.